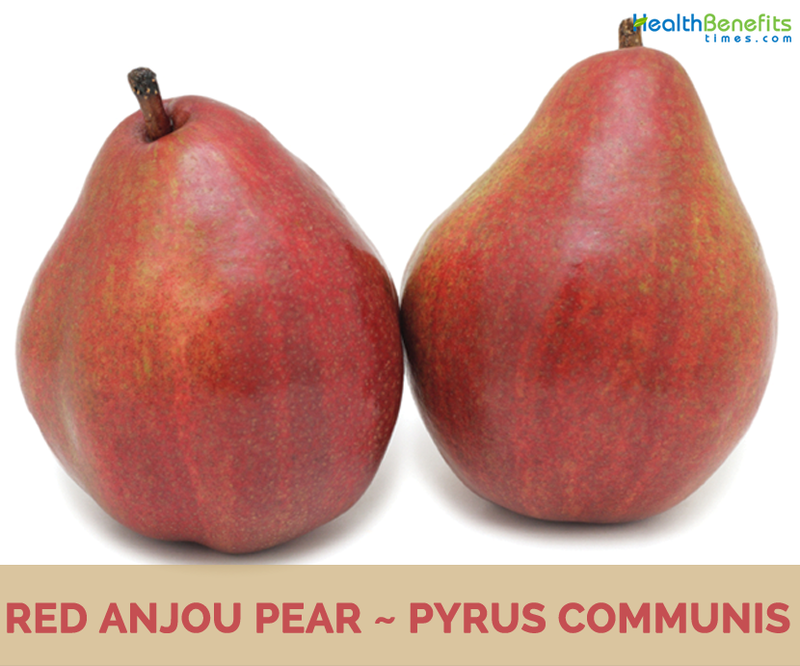 Pyrus communis, known as the European pear or common pear, is a species of pear native to central and Eastern Europe and southwest Asia. 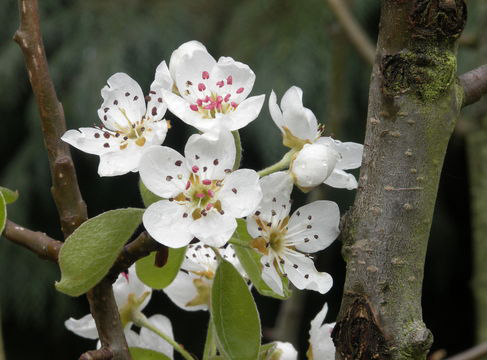 It is one of the most important fruits of temperate regions, being the species from which most orchard pear cultivars grown in Europe, North America, and Australia have been developed. 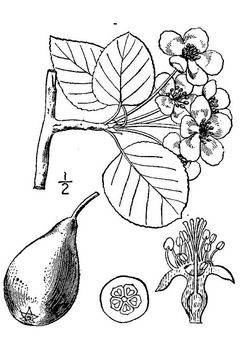 Other two species of pears, the Nashi pear, Pyrus pyrifolia, and the Chinese white pear bai li, Pyrus × bretschneideri, are more widely grown in eastern Asia. Other Popular common names of the fruit are Dessert Pear, Pear, Pear Tree, Perry Pears, Soft Pear, cultivated pear and garden pear. 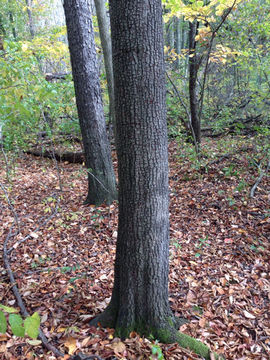 It is a temperate species and normally thrives in the warmer areas of the temperate zones. It prefers a mild summer and a cool to cold winter. 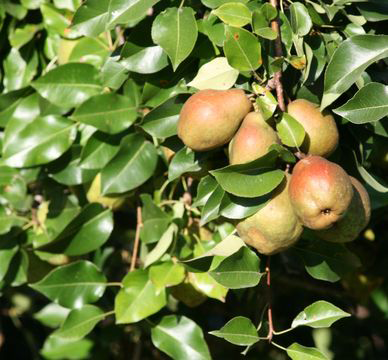 Red Anjou Pear is a small to medium sized, deciduous tree that usually grow to about 12 meters but some can reach up to 20 meters with an upright, conical crown and slender branches. As it is a temperate species it normally thrives in warmer areas of the temperate zones. 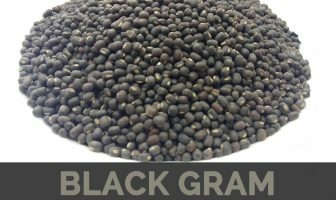 It is found growing in well drained, moist sandy loam to clayey loam soils rich in organic matter. Barks are gray-brown to reddish brown, with shallow furrows and flat-topped scaly ridges. 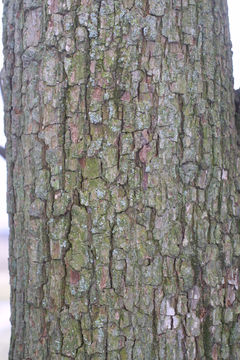 Branchlets are tomentose when young, glabrous and brownish red when old. 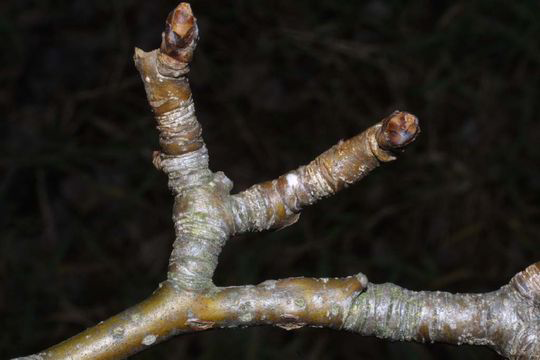 Twigs are glossy brown to reddish brown, medium in texture, spur shoots present. Terminal buds are medium in size (less than 1/4 inch), conical to dome shaped, and may be lightly hairy. 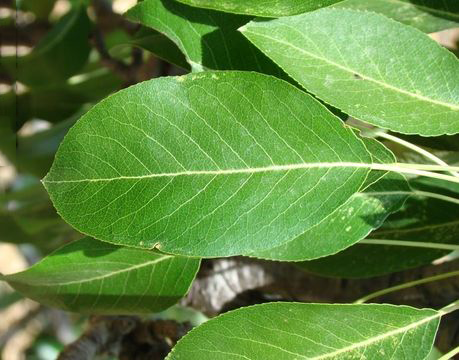 Leaves are alternate, simple, and ovate to elliptic, 2–7 cm by 2–3.5 cm, acute or short acuminate, base rounded or sub cordate, margin serrate-crenate. They are shiny green above and paler and dull below. Petioles are 1.5–5 cm, slender. Stipules are caducous, linear-lanceolate and membranous. 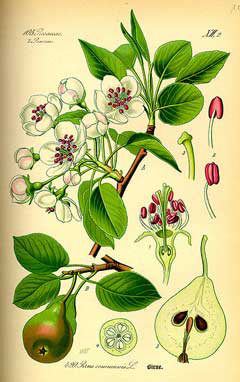 Raceme is umbel like, 6–9- flowered with caducous, linear-lanceolate bracts at the apex of a spur. Flowers are 2.5–3 cm across, white, bisexual. Hypanthium is campanulate, abaxially pubescent. Sepals are deltoid- lanceolate, 5–9 mm, both surfaces pubescent, persistent. Petals are white, obovate, 1.3–1.5 × 1–1.3 cm, base shortly clawed. Stamens are 20, half as long as petals. Fruit is pome obovoid, turbinate or sub globose, 4–8 cm wide × 4.5–9.5 cm long, 5-loculed with a larger bottom and narrower top. Fruits are dark as maroon, rust-colored red or a lighter, crimson red with occasional striations. Flesh is juicy, soft and dense off-white to a creamy pink, sweet when ripe. An average pear weighs 4-6 ounces. 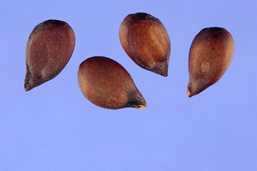 The fruit has brown and teardrop-shaped seed. Most pears are dessert pears and eaten raw by themselves or with a robust cheese like Parmesan, Pecorino, Gorgonzola, Stilton or Roquefort. Pears are also a welcome addition to winter salads. Pears are poached in port or red wine spiced with cinnamon, cloves and pared lemon rind or in a vanilla flavored syrup. Well-known dish is “Pears in Syrup” or “ Perys in Syrip ” using the fifteenth century spelling. For sautéed or grilled pear, pears are peeled, quartered or halved and the cores are scooped out with a melon baller. 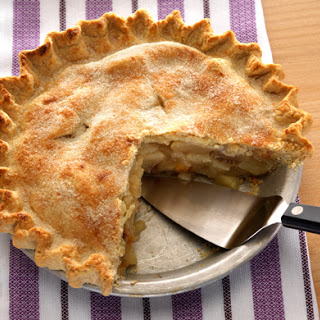 Dessert and cooking type pears can also be cooked in compotes, tarts, pies, terrines, trifles, pastries, cakes and the famed Poires Belle Helene (poached pears with vanilla ice cream and hot chocolate sauce). Pears are outstanding for making a pear sherbet where the peeled pear is blended with sugar and a little lemon juice and freeze. Pears also make marvelous fritters and go well with ingredients such as nuts, spices, port and masala. Cooked pears are relished in savory dishes with game and duck – made into chutney or casseroled with game birds or venison. Pears can be preserved or candied with sugar and vinegar or pickled with mustard seeds and horse radish. Pears are excellent for canning, they are peeled, halved, quartered or diced into pieces and cooked in syrup before canning. Peeled pears are also dried, crystallized and distilled into spirits like eau-de-vie de poires, Poire William and Perry. Pear trees are occasionally used as part of a shelterbelt planting. Yellow-tan dye is extracted from the leaves. It provides a heavy, tough, durable, fine grained, hard-wood that is used by cabinet and instrument makers. When covered with black varnish it is an excellent ebony substitute. 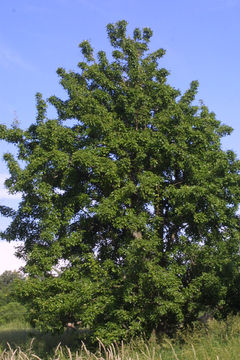 The fruit is regarded as astringent, febrifuge and sedative in folk medicine. Calories 87 K cal. Calories from Fat 1.8 K cal.